Small towns have their own unique needs. We’re a small town company, so we understand those needs and we’ve designed our software specifically to meet them. Our software has a super-low learning curve, so even if you’re a brand new customer, you’ll be getting your work done quicker and more accurately, in no time. Producing reports quickly and accurately seems like a dream, right? It’s not with Black Mountain Software. We’ve incorporated hundreds of reports, all accessible with one click. A switch to Black Mountain includes hands-on training, accurate data conversion, powerful features and personal support, taking the worry out of making the change. When you call, we answer. Really! Calls and emails are answered by real human beings. 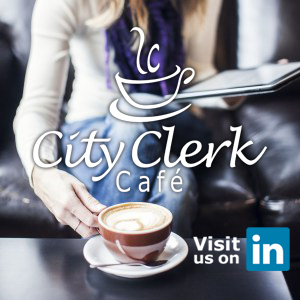 Our renowned support staff includes former city and school clerks, bookkeepers and tech specialists who are refreshingly friendly and helpful. A complete line of Accounting Software products for Municipalities, Counties, Utilities and other special districts tailored to improve your workflow, accuracy and efficiency. Simpler data processing, quicker reconciliation and easier comprehensive reporting; we’re not trying to beat city hall, just make it easier. Our Utility Billing Software is designed to facilitate efficient customer management for Municipalities and Utility Districts. This software handles billing for Water, Sewer, Garbage, Gas and Electric accounts. Cash Receipting, Service Orders and a variety of customer payment options automate and simplify any utility department’s workflow. Accounting Software for Schools, with optional add-ons such as Purchase Orders and Remote Requisitions, makes school accounting fairly elementary. Along with Payroll, Budget Prep, Asset Manager and Student Accounts, our software simplifies financial tracking and reporting and produces your Trustees’ Reports.